Global reach – you are no longer restricted to the charity of friends and family. Cost – there are little or no setup or promotional costs. Content – with your own site you can make your case through audio, video and text…all on the same site or through email. Time – there are no time restrictions. Internet fundraising operates 24 hours a day, 7 days a week, tirelessly, without having to knock on any doors. Income – with some nonprofit online fundraising platforms, your group can earn residual income. The old way: you order brochures for each one of your volunteers (usually school kids, college students, etc.) and they faithfully trudge through their respective neighborhoods, knocking on doors, looking for willing prospects to get as many orders as possible. They write the orders by hand and collect the money on the spot. The new way: all of your supporters collect email addresses of everyone they know and you send out a pre-written letter to everyone on the list in a matter of seconds. Large groups like schools love this because it’s the best way to reach a lot of potential supporters quickly. Your subscribers buy, renew, or extend their favorite magazine subscriptions all online. You don’t fill out any orders or have to collect any money since it’s all done through your own, FREE website, complete with a built-in goal thermometer to track your earnings and motivate your supporters. 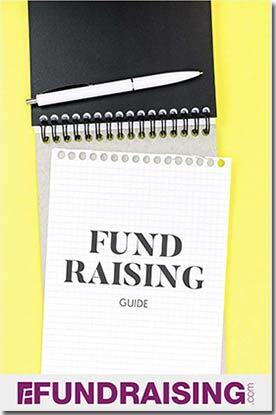 These online fundraising tools offer an easy and fun way to raise money, without the hassle that comes with traditional money raising ideas (to the relief of teens everywhere!). New! Now your supporters can choose from a number of profitable products (from the comfort of their homes) – not only their favorite magazines, but also cookie dough, discount restaurant certificates, flower bulbs and tons more – all through your page, and without knocking on any doors. It works a lot better than other online fundraising platforms, such as donation websites since you don’t have to rely solely on people’s generosity to reach your goals. Plus, you can do this fundraiser in conjunction with any other fundraiser because it’s FREE, is completely online and works 24/7, year ’round. What do you have to lose? Fundraisers (and online fundraising websites) don’t get any easier than this. Go to Fundraising.com for the nitty gritty, or call toll-free 1-866-216-2080.